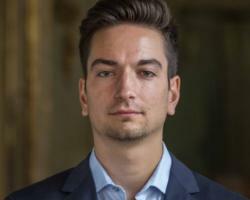 Marco Olimpio is Research Trainee for the Radicalization and International Terrorism Centre at the Institute for International Political Studies (Milan). Born in Milan, he holds a Bachelor’s Degree in International Affairs with a Concentration in Security Policy and a Minor in History (George Washington University, Washington D.C.). Before joining ISPI, Marco worked as a Research Assistant at the Program on Extremism at George Washington University conducting research on jihadist extremism in the West, analyzing recruitment, attacks, and government counter-radicalization and prevention measures. His main research interest focusing on investigating the impact of radicalization and terrorist networks in Italy and Europe.